Award-winning mathematics teacher Patty Leitner has made instructional videos for years, and I am lucky enough to have her permission to present patty's calculus videos here on dansmath dot com! There are 47 videos organized into four playlists: 1. Limits, 2. 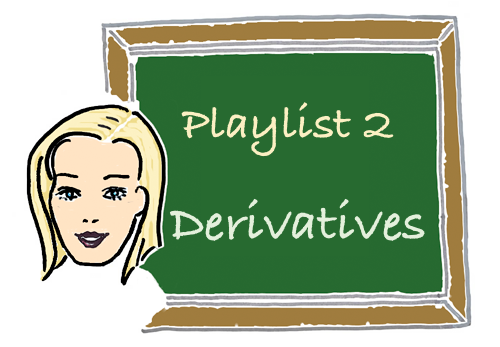 Derivatives, 3. Applications, 4. Integrals. Select a playlist to go to that page. The topics and videos list is available here. 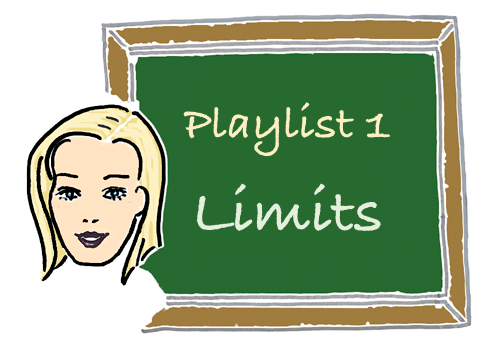 An introduction to the concept of limit. What do function output values "approach" when the input variable gets "close" to some number? What about infinity? "But what is it good for?" is the question on some students' minds. Well-chosen applications illustrate how the derivative can be used to solve interesting problems! The derivative is the central concept in calculus. Patty explains the definitions and computational techniques for finding the derivative of a function. Integrals are in some sense the opposite of derivatives. Patty shows you how the "anti-derivative" can actually help to compute the area under a curve y = f(x).